Jennifer Turiello concentrates her practice in civil appellate litigation and insurance coverage litigation. In her appellate practice, Ms. Turiello has written briefs submitted to the United States Court of Appeals for the Seventh Circuit, the Illinois Appellate Court and the Illinois Supreme Court on a wide variety of topics. Ms. Turiello has also written amicus curiae briefs submitted to the Illinois Supreme Court on matters of policy or other import on behalf of the firm’s clients. Ms. Turiello has participated in oral argument before the United States Court of Appeals for the Seventh Circuit, the Illinois Appellate Court and the Illinois Supreme Court. As an extension of her appellate litigation practice, Ms. Turiello assists the firm’s clients and trial attorneys in litigating cases at the trial court level, particularly when cases involve issues that are likely to result in an appeal. Ms. Turiello also routinely assists the firm’s trial attorneys with the compilation and argument of dispositive motions such as motions for summary judgment, motions to dismiss and motions for new trials. In her insurance coverage practice, Ms. Turiello has written opinions and other analyses of insurance coverage and insurance related issues. 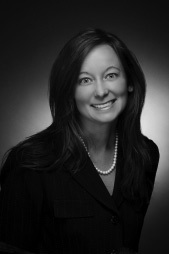 She has defended against claims for bad faith against insurers, and has experience in both defending and prosecuting declaratory judgment actions involving all aspects of insurance coverage and other insurance related actions, including reinsurance. While in law school, Ms. Turiello was a participant in the Sherman Minton Moot Court Competition and the Executive Notes and Comments Editor for the Indiana Law Journal. Ms. Turiello is a published author in the Indiana Law Journal. In addition, she was the recipient of a Scribe Award for Excellence in Legal Writing. Ms. Turiello was also previously selected for inclusion on the Illinois Rising Stars list, a division of Illinois Super Lawyers, for both her civil appellate litigation and insurance coverage litigation work. Peraica v. Village of McCook, Case No. 15-3131, 2016 WL 1320111 (7th Cir. 2016) (affirming judgment on the pleadings in favor of defendant law enforcement officers and municipality in case alleging First Amendment political retaliation). Hamilton v. Village of Oak Lawn, 735 F.3d 967 (7th Cir. 2013) (affirming dismissal of lawsuit alleging Fourth Amendment violations against defendant law enforcement officers and municipality). Walker v. McGuire, 2015 IL 117138 (preparation of amicus curiae brief on behalf of the Illinois Housing Development Authority in conjunction with an underlying suit challenging the constitutionality of a provision of the civil procedure code imposing a $50 filing fee in residential mortgage foreclosure cases to fund a state foreclosure prevention program). Lacey v. Village of Palatine, 232 Ill.2d 349, 904 N.E.2d 18 (2009) (affirming dismissal of a Domestic Violence Act lawsuit against a defendant municipality alleging that it failed to prevent a double homicide). Adames v. Sheahan, 233 Ill.2d 276, 909 N.E.2d 742 (2009) (affirming summary judgment in favor of the Cook County Sheriff’s Office in two wrongful death cases following accidental shootings with deputies’ service weapons). Hollenbeck v. City of Tuscola, 2017 IL App (4th) 160266 (affirming summary judgment in a defendant municipality’s favor in a plaintiff pedestrian’s personal injury suit stemming from her stepping onto a storm sewer catch basin lid located on city-owned parkway and sustaining injuries). Clark v. Village of LaMoille, 2015 IL App (3d) 140669-U (reversing jury verdict and entering judgment notwithstanding the verdict in favor of a defendant municipality in a civil action based on the alleged negligent maintenance of a storm sewer and drain). Cipolla v. Village of Oak Lawn, 2015 IL App (1st) 132228 (affirming entry of judgment in favor of a defendant municipality in a plaintiff former employee’s age discrimination lawsuit). Lovell v. City of Washington, 2014 IL App (3d) 120653-U (affirming verdict in favor of defendant municipality in a negligence case brought by a plaintiff pedestrian who fell and was injured while walking across a parking lot). Hanks v. Cotler, 2011 IL App (1st) 101088 (affirming dismissal of medical malpractice claims as time-barred under applicable statute of limitations and statute of repose). Smith v. West Suburban Medical Center, 397 Ill.App.3d 995, 922 N.E.2d 549 (1st Dist. 2010) (affirming summary judgment in favor of a defendant medical center regarding its indemnification claim against community college based upon cooperative agreement). State Farm v. Enterprise Leasing Co. of Chicago, 386 Ill.App.3d 945, 899 N.E.2d 408 (1st Dist. 2008) (affirming summary judgment for insurer regarding the duty to defend and duty to indemnify relative to an underlying action for damages to a rental vehicle). Tkacz v. Weiner, 368 Ill. App. 3d 610, 858 N.E.2d 514 (1st Dist. 2006) (affirming dentist’s motion to dismiss in a plaintiff patient’s suit alleging violations of the Illinois Consumer Fraud and Deceptive Business Practices Act). Krivanec v. Abramowitz, 366 Ill.App.3d 350, 851 N.E.2d 849 (1st Dist. 2006) (reversing jury verdict and entering judgment notwithstanding the verdict in plaintiff deceased patient estate’s medical malpractice action alleging that a defendant cardiologist was negligent in failing to perform an angiogram).